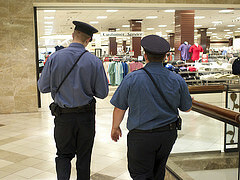 Shoplifting, theft by deception, and embezzlement are all types of theft charges one may face in Salt Lake City. There is even a law that prohibits a person from releasing a fur-bearing animal raised for commercial purposes without permission of the owner. This would mean an animal activist could be charged if he tried releasing mink from a mink farm. This type of stealing is a third degree felony and punishable by up to 5 years in prison. Utah laws do not take lightly this crime. The level of criminal offense for stealing in Utah varies from a class B misdemeanor, such as in the case of a first time shoplifting offense, to a second degree felony. In determining what level of offense to charge someone, a prosecutor is governed by factors given by Utah law. The most serious offense, a second degree felony, is that level because the property stolen was valued at or more than $5,000, the property was a firearm or motor vehicle, the property is stolen from the person or another, or the theft was committed by someone using a dangerous weapon. The level of offense is primarily based upon the value of the property taken but other factors exist. We can explain all the factors used to determine whether a theft is a felony or a misdemeanor. Theft in Utah can also be enhanced to a higher level of offense if a person was convicted previously of theft in a 10 year period or 5 year period depending on the circumstances of the case. In addition to jail time, classes, and fines resulting from a conviction, theft can also result in a person being civilly liable for three times the amount of actual damages sustained by the plaintiff. With so many negative consequences of a conviction, it is important for any person facing such charges to call a Salt Lake City criminal defense lawyer at 801.618.1333 right away. A lawyer will help the accused fight their charges and understand their criminal rights.